Here we publish any emails or letters that users have sent us. If you have any thoughts on Sky+ then please contact us using the email link below. I've had, and still have (just), a Sky+ box since September 2001. When I first heard about I knew it was just what I was looking for. It's a great concept and has revolutionised our viewing. Unfortunately this has been marred by bad experiences with installation, subsequent problems and poor tech. support. Things got off to a bad start from the word go. While they were taking my order they had a problem with the computer and so couldn't complete it. They said they phone me back. After 2 days and no call I phoned back to complete the order and arrange an installation date. The installation didn't go well. For starters they forgot my remote keyboard - ok not major. They also sent me the wrong type of viewing card but it was only when the installers wanted it to insert into the box this was apparent. It seems it was for a 2 box installation. They then spent the next 3 days not phoning me back and making up excuses why I couldn't be activated now. A new one was in the post and I'd get it tomorrow which I didn't of course. Finally by Saturday (+4 days) I had enough. After being told again they could do nothing and would have to wait to Monday now I told them either they activate now or the box is coming right back to them. It got activated half an hour later! It wasn't long before we started getting failed recordings. Again it took ages to convince someone there was a real problem. When another installer finally came (6 weeks after the original) they told me the system was very poorly installed. The dish was pointing through my garage, the LNB connectors had already gone rusty, the cable itself was attached in a very casual way (like mostly in my gutter) and the cable at the other end wasn't attached to the Sky+ box properly. So not much really! These points were corrected and that sorted out the repeated failed recording problem at least. Then towards the end of September I received a warning that I should return my signed contract to them. I phoned to explain I hadn't received one! They said they'd send another. I also explained my keyboard still hadn't turned up. In early October all of a sudden (exactly a month after I had the installation!) I couldn't get any programs apart from FTA. I phoned Sky and they told me I hadn't returned my contract. I explained I hadn't received either of the 2 they had sent out! They eventually reactivated the card after a few hours! I didn't get the contract or keyboard until many weeks later. The most annoying and most persistent one is the failure of series linked recordings (this is not the problem where you have 2 programs one after the other which is another issue). I've had this problem since before October 2001 and have lost count of the number of times I mentioned it to support. Each time of course they know nothing of such a problem. They'll get back to me and never do. They usually try and fob me off by telling me to reset my box. On one very memorable occasion after just losing part of a series (Enterprise) I phoned support. After 10 minutes of getting no where I asked to speak to a supervisor which was refused. After persisting the phone was hung up! Of course phoning customer services straight after this to complain they had no record of the call! The box is a brilliant concept and I love for that, but my experiences with Sky are the worst I've EVER had with any company in my entire life! Editor says: Mark has had many bad experiences. One has to ask why this happens? His major teething problems with Sky+ in the early days of the service were not that uncommon amongst the early adopters. However service standards at Sky have moved on considerably since then. What hasn't changed is the engineer call out charge for things that are Sky's fault. They should foot the bill when the service goes pear-shaped. After all Sky+ subscribers are typically Sky's highest revenue generating subscribers. In case you didn't know: We have Sky+ and a second subscription (using the old box). Sky were charging £10 for the Sky+ and £12 for the second sub. Just before Christmas, they put the second subscription up to £15; however if we upgraded our subscription to the full package (we were on the MovieWorld package) then we'd get Sky+ and the second subs for £15. So basically we now get every channel at home and have saved ourselves £2 a month. Hope this info is usefull! Editor Says: Yes this offer has been made to me too, and I signed up. Something for nothing isn't half bad! May I request that my account is cancelled from today. I will be stopping my payment to Sky through my bank from tomorrow. The equipment will be taken out/down and you will need to get someone out to pick it up before the end of the week or it will be left outside my door. I also have consulted with my bank regarding the payment of £300 for the Sky Plus system and installation. They have advised me that they are processing a refund of the money, as to date (26/02/03) it is still within their banking system. They can on my request stop it going to Sky's bank account and refund it back to my current account. I have had nothing but trouble with your Sky Plus system, but it actually dates back to before I had it installed. I have been an ordinary Sky Digital subscriber for approximately 2 years. I was more than happy with the basic system. My girlfriend and I decided that because of the varied shifts we work that Sky Plus would be a benefit to us. Hence we decided to sell the basic digibox on an Internet auction site (eBay) to raise some of the £300 required for the Sky Plus. Before doing this I rang up to enquire about the workings and installations of the Plus system. Unfortunately I cannot remember exact dates but it was between the 10th and 13th of this month (Feb). I asked the lady, as I have a dish on the wall and could easily wire a cable from the area of the dish to the living room why should I pay £50 for the installation. She proceeded to advise me that I cannot buy the system direct from you without installation, but I would be able to go to the likes of Dixons, Currys etc etc and buy JUST the system without installation. I quote - "Look in your local free news papers for aerials, sky etc etc installations and they would probably do it cheaper than £50." I asked was the LNB in the box and she said it was. She advised me that if I was going to proceed down this line, that I would then have to contact the Sky Plus number to activate the £10/month subscription to make the box work. I was involved in this conversation with this lady for approximately 30 minutes, as I had a lot of questions to ask her before I made any decision. I proceed to sell my digibox on eBay for £100 and it was sold within 12 hours of being listed. The gentleman actually lives locally, so was keen to pay cash and pick the box up asap! He did so the next day which left me without a box and still paying a subscription. 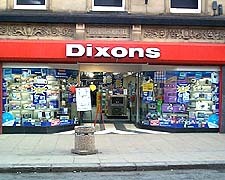 Well that day I proceeded to go to Dixons to buy the system for £249.99 based on the information that I had received. I, once in the shop was advised that they, like you do not sell the Sky Plus system without installation. I advised them that they were incorrect as I had spoken to your Sky Plus department the previous night and explained what that lady had said to me. They firstly pointed out that no Sky Plus system comes anymore with an LNB included. But again I voiced my opinion based on the ladys info. 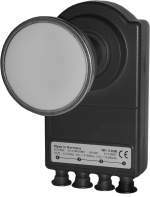 They proceed to get a sealed Sky Plus system from the store, opened it in front of me and low and behold NO LNB. They then on my request phoned the various contacts that they deal with, within you company for correct information. And came back to me with totally the opposite information. I eventually, after nearly 1 hour in the store, getting more and more embarrassed by the minute, asked to speak to one of their contacts in your company. She promised to phone me back that day between 5pm and 6pm, after she had consulted with various people and the lady from the evening conversation previously. 6pm arrived and no phone call!!!!! Typical. At this stage I didn't expect anything else. She did call me back the next day, giving me all the excuses why she didn't phone the previous day. Why say she would call definitely between those times if she couldn't? She could have at least asked some else to call for her to say something/anything. So eventually she phoned as I said and agreed to credit me one months subscription after I agreed to buy the Sky Plus system. Someone else called me back, and I booked the installation for the following Thursday and paid the £300. The following Thursday arrived and the phonecall from the installation company at 8.30am. Great Sky have seemed to get something right I thought. The guy turned up at 2pm and was finished at 3pm. But not without problems though. But hey what's new! If it related to Sky in any way there has to be problems associated! I specifically asked the installer to check the alignment of ALL of the dish, not just to swap the LNB's and install the wires. I thought he did, as I had a rather important phonecall while he was here to attend to. So he did his thing, and then connected up the telephone to do the callback to initialise the system. The problems continued. The callback system wouldn't work. The box advised that the telephone line was connected but it would call out. Now I do not withhold my telephone number and have no call barring on the line either. I counted the number of time that her did this which totalled 14 in total! Eventually it did the callback and everything was done regarding the box. But just for curiosity he'd did it again and guess what (well its still to do with Sky so...................?) it didn't work!!! But low and behold again.............he left it! It still doesn't work. So he packed his tools and got me to sign the form, which I did only because I had to start work at 4.30pm. I realise that I shouldn't have if everything was not up to standard, but as I explained I had to got to work, and get ready so I did not have the time. While he was on the phone to you, I asked to speak to the gentleman he was on with to confirm that a credit had been applied to my account. And surprised it had only partially been applied. I was advised that £38 for the Sky World package and the £10 Sky Plus subscription would be applied. Only the £38 for the Sky World package had been applied. Well he left, and I had maybe 5 minutes to spare so I decide to see what I had paid £300 for. But the box didn't work properly. I kept freezing when I went into the TV guide, selected a programme, and hit the I button for information on it. I decided to ring Sky for advice as he had only left 28 minutes ago and it wasn't working. The Sky Plus technical department advised me after a brief conversation that the software version was not current at all and that was the problem. I did a forced download and that solved it. But I was advised that the installer should have checked the software version to make sure it was current and if it wasn't he should have updated it. But again he didn't. Well, my girlfriend was off the next day and decided to try out the machine/system. She set it to record a few programmes. On playback it still froze and had to be rebooted, and the picture quality was bad. The picture both live and recorded looks as if the signal is weak. The picture has squares on it sometimes which gives the impression of poor quality, and it freezes occasionally. I called the Sky Plus technical department on Friday night to report this fault. I was asked take out the leads from the dish and measure the length of the inner core! Switch them around, and do various things with them. Not really what I should have been doing as that's what I paid £50 installation fees for! Correct? So he advised that it seemed like a faulty box, but I did mention that the installation guy delivered the box opened. The seal had been broken. But I was advised that they are all broken to put the LNB's in. I am not happy about this either as I cannot be guaranteed a brand new box for my £300 which is what I paid for. And it looks as if this box has been used before from the telltale scratches on it. The Sky Plus technician advised me that the local installation company is not open on a Saturday, but they would get in touch with me within 48 hours of receiving the email. They would receive the email on Monday morning, so I should expect a phonecall by at the latest 6pm Tuesday (yesterday). I also give my mobile number to make sure that I would not miss the call as my mobile has an answering machine. No phone call, well as you are probably aware by now what a surprise! NOT. So I called last night to record my absolute disgust at the service from which I am receiving from you for £300. The girl said they would ring today (Wednesday) as she had email and URGENCY (or something along those words) email. It is now 4pm Wednesday and I have had no phonecall. I don't see why I should have to pay more money to phone you to report something time and time again and nothing is done about it. So please listen to my words that you will not be receiving payment from me and I will be getting my £300 back, and you can collect your equipment from outside my front door if you haven't picked it up by Friday night because I am just sick to the back teeth of you sh*t service. I will be emailing the BBC's watchdog with a copy of this email and hoping that they will help me sort out this mess. I also will be contacting the governments Office Of Fair Trading with the same. I am currently paying £18.50 for a sh*t service and will be requesting any refunds due from the start of the episode. Further to my email to you yesterday (Wednesday) enclosed below, I have still had no contact from the installation company regarding my faulty box, and bad picture. 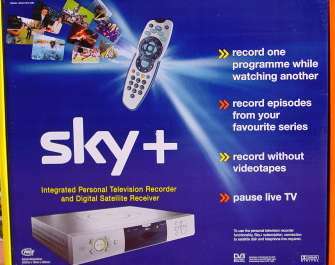 But what else do I expect from Sky as you think you have my money (£300) and now don't care whether the box works or not! Leave it a wee bit longer and you will have reached a week, that I have had a faulty supposed brand new box, and it not working correctly! Further to my telephone calls with you yesterday, I am still currently waiting on a lady from the installation team to call me back! Once again, she promised me that either her or a lady that deals with swapping Sky Plus boxes over would contact me by 5pm to tell me when an installation team would be out to re-install my Sky Plus equipment again! But surprise surprise (NOT!) nobody rang. So basically I am speaking to people how give me bulls**t answers to get me of the phone. Well - I WANT THIS EQUIPMENT OUT OF THE HOUSE ON MONDAY OR TUESDAY. I HAVE STOPPED PAYMENT TO YOURSELVES FOR MY MONTHLY PACKAGE AS I CANNOT VIEW SOME OF THE PICTURES. THE BOX FREEZES AND THE EQUIPMENT IS SECOND HAND. PS YOU BETTER GET IT OUT BEFORE IT IS LEFT OUTSIDE MY FRONT DOOR CONSIDERING MY £300 HAS BEEN STOPPED BY MY BANK!!!!!!!!!!! Editor Says: No organisation is perfect, but this is so far away from perfect, it's almost unbelievable. I'm glad to say that Stephen's experience is in the minority of Sky+ installs. However this does not excuse the terrible service he has received. Sky should contact Stephen and try to make amends. We'll let you know if Stephen eventually gets any satisfaction at all. 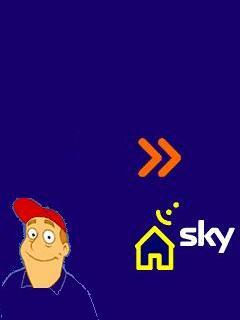 I had Sky+ installed at 11am on Friday 24th January 2003. By about mid-day I found a problem when accessing program information from the TV Guide. The box would just reset itself. The instant rewind feature was missing also. I assumed that a software upgrade was required, so contacted Sky to find out what the procedure for upgrading the software was. After the upgrade everyting seemed to be ok until I recorded CSI at 9pm. After the recording the program appeared as FAILED in my planner. I deleted the offending program, but the %free did not get returned. I then recorded a movie at 10:15pm, however the box did not stop recording after the movie had finished - even after 10 minutes. I pressed the (R) button to stop the recording and everything seemed to be ok. At this point I noticed that the planner had still not returned the space used by CSI. I therefore decided to restart the box. I removed the power, waited about a minute then re-applied the power. BIG MISTAKE! Once the box was back on line. All my SKY+ recording functions had gone and I get a SYSTEM FAULT error every time I try them. I tried a full system reset but still no joy. I called Sky on the morning of 25th Jan to see if there was anything else to try. They couldn't help! I was informed that an Engineer would be required. On enquiring when, I was told that it would be Monday before they could contact the repair company and that it usually takes 48 hours for them to respond to a call. I then asked about the replacement box and whether it would be a new one. 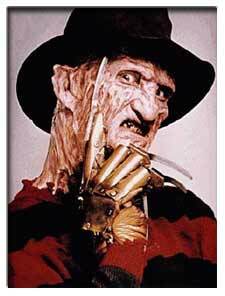 I was told that it would be reconditioned. I informed the Sky representative that this was unacceptable and that I would accept nothing less than a brand new box. After all, the box had not even been in use for 12 hours when it failed. Sky have reluctantly aggreed to replace the box with a new one. However, now comes the really annoying part. I had to take days leave on the Friday for the install as they could not offer me a Saturday installation. I have now been informed that the Repair company do not work on Saturdays. This means another day off work. Are Sky going to compensate me for this? I doubt it. Over all I am extremely disatisfied with the way Sky are handling this problem for me. Why are the boxes so unreliable? I'm beginning to wish I had gone for a TIVO. Sorry for the rant, but I would be interested to hear if any other readers have had similar problems both with their hardware and Sky+ customer service. Ed: Sky+ customers should be treated like VIPs, we're their top paying customers - obviously for you that was not the case. Sky should hold their heads in shame. What an appalling service. When is a recorded movie not a recorded movie? I recently filled my 120GB drive with movies then thinking I was being clever, I cancelled my movie subscription. Now I cant play back anything I recorded from the movie channels. This seems inconsistent with the ability to offload recordings to VCR. How would I go about requesting the ability to playback recorded items if I no longer subscribe to the channels they were originally broadcast on? I'd like to take part in a campaign that requests this functionality. Ed: Serves you right for having a a hard drive 3 times bigger than mine!... (hard drive envy creeping in there). Actually this is a common bone of contention and Sky show no signs of changing their policy. If I was you, I'd resubscribe to movies for one month and watch movies night and day, then downgrade your package again. "There is a Technical Fault with..."
Hi , you may have noted a fault with the Live Pause feature which is an obvious and annoying bug. Scenario: You are watching one of the part-time channels, say CBBC or UK BrightIdeas, and the phone goes - you Live Pause don't you? All well and good. It tells you that you are 20 mins behind live TV as you yap so much on the phone - no problem, just press Play on the remote. Off you go, 20 mins behind - no worries. Then ... "There is a Technical Fault with this Channel ... No satellite signal being received. Sky+ needs a working Satellite Signal to operate" - its 18:00. The channel has gone off the air. But hang on, you are watching with Live Pause, 20 mins behind. Shouldn't be a problem.... Well, it IS. You will loose the last 20 mins (or whatever you have buffered) when the transponder goes off. BUT, if you have recorded it, you could have watched it. Surely the same 'rules' should apply? Try it - then call Sky+ CSC and see how far you get? Not very helpful here..... they don't see it as a bug! Look forward to hearing your views. Ed: I didn't believe this until I tried it myself- oops... another "feature" to add to the list ! Come on Sky+ boffins - this is madness!